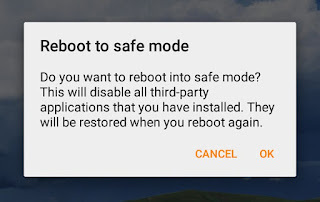 We all know how to reboot windows in safe mode but did you ever tried this on you android phone. Most probably, your answer will be no. Don't worry! Today I will guide you how to use this feature in right way. Before moving to the steps, first tell me what do you think about "Safe Mode". Okay, let Google choose the best definition for it. In simple words, Safe mode is a diagnostic mode of operating system which let you troubleshoot any simple problem. Now the question is, which type of problem it can troubleshoot and how? To answer this question, let's have a look at below case. Sometimes, we install infected applications by mistake. Though Google play store doesn't allow such apps but from other unknown sources these app may enter in your Android phone. Now for an instance, if your device have such applications and due to which other apps are mis-behaving or you're stuck into same screen then safe mode can help you to get out of this problem. Using this feature, you can easily reboot your phone in working mode and thus you can remove the app which is causing the problem. On the other hand, if your phone hangs (what most of the Samsung mobile do) then you can use safe mode to boost up the speed. Android is smart enough to detect any problem in your device and many times, it automatically reboot into safe mode. This is quite normal when your operating system or any third-party app corrupts. To troubleshoot this problem, you can read this wikihow article. Here comes the main part. If you want to enter in safe mode then follow these simple steps. Now press power button for few seconds. A pop up box will appear. 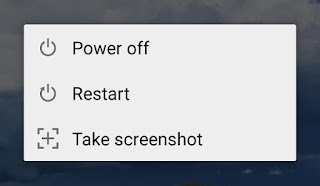 Here you'll find "Power off" option. Again click and hold it for few seconds. After this, a new pop up box will appear as shown in below picture. 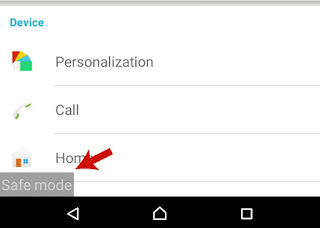 Hit OK button and it will automatically reboot your phone in safe mode. This time, you'll find a black color watermark to the bottom-left corner of your phone screen showing that you are in "Safe mode". 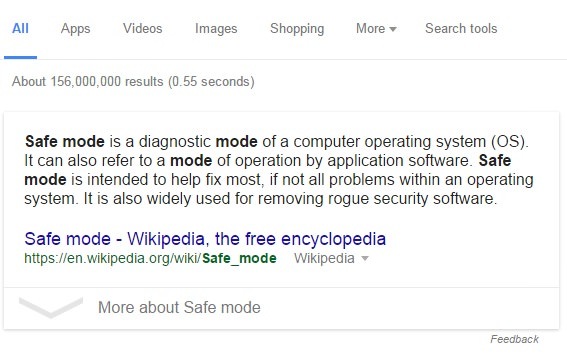 What does safe mode actually do? Of course, this will disable all third-party applications that you have installed. Fortunately, all pre-installed apps will not be affected. One more important thing is that widgets will not work. In my case, I have Sony Xperia C3 dual and when I reboot it in safe mode, none of the widget works. As you can see in above picture, I was unable to get weather updates. It simply display grey color background and widget name. However, you can still access Internet, music, calls and other default features. How to troubleshoot system problem? As already mentioned, you can use safe mode to troubleshoot any system problem. Basically, third-party apps are the main cause. Sometimes our phone performance goes down due to Android malware. Safe mode can block all such thing and you can access your phone smoothly. In this situation, try removing all such app which you think can cause the problem and restart your phone. Also, make sure to remove your external storage device. If above method doesn't work for you then backup your data and reset all phone settings. Definitely, this thing will work. 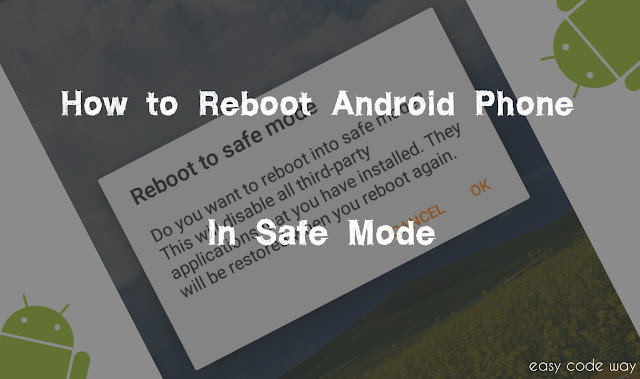 Now I hope that you've complete knowledge about Android safe mode feature. If you have any doubt or question, please let me know in below comment box. Love and blessings!